Some people seem to complain that this was a rough year for videogames when compared to the glory of 2007 and the not-as-glorious, but still pretty impressive, 2008. To that, I say, “Fiddlesticks!” Sure, some of the huge releases of the year were pushed back to 2010, but that doesn’t mean there weren’t a ton of great games to play in 2009! Fiddlesticks to all of you naysayers out there! FIDDLESTICKS! 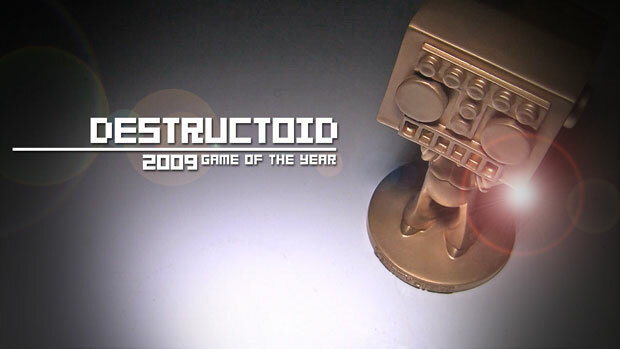 Just look at our list of nominees for Destructoid Game of the Year 2009 (and the runner-ups!). They are all pretty gosh-darned great videogames! All last week we revealed the five nominees, and now it’s time to reveal the winner. I know most of you lost sleep all weekend waiting for this historic moment, but it’s finally here. Which game do you think will take the crown and join BioShock (2007) and Left 4 Dead (2008) as the official Destructoid Game of the Year 2009? The answer is only one click away. It’s right after the jump! Wait, not yet. Be patient. Get ready to clutch those pearls. Wait. Wait. Okay ... okay ... okay, GO! HIT THE JUMP AND WATCH THE VIDEO! THIS IS THE MOST IMPORTANT CLICK YOU WILL MAKE ALL YEAR! There is not much more to be said that wasn’t already said in the initial nominee post for Uncharted 2: Among Thieves. We here at Destructoid love the game. Like, a lot. Uncharted 2: Among Thieves is not only an outstanding, and vastly improved, sequel to the original Uncharted, it is one of the most exciting, exhilarating, highly polished videogames of all time. Every beat of the third-person action/adventure game is perfectly paced, and the set pieces -- my God, the set pieces! -- are some of the most clever and breathtaking pieces of design ever seen in a videogame. From the collapsing building to the speeding train, from the nail-biting journey through the ice cave to the battle on the convoy. From start to finish, Uncharted 2 impresses. No other videogame this year possesses more moments that will make your jaw drop to the floor. No other videogame offers a better presentation. And, most importantly, no other videogame exemplifies what it means to be a videogame. Playing Uncharted 2 is like being a part of the greatest action movie ever made. You are the one leaping from rooftop to rooftop while being shot at by a helicopter. 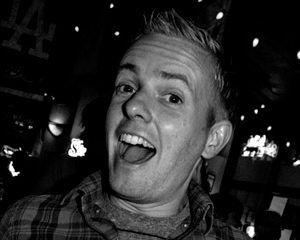 You are the one outrunning a fiery truck through the alleyways of a ruined city. Uncharted 2 is the perfect example of the supreme, unrivaled quality of entertainment you can only get in a videogame. We are all still breathless from the experience. So, what do you think? 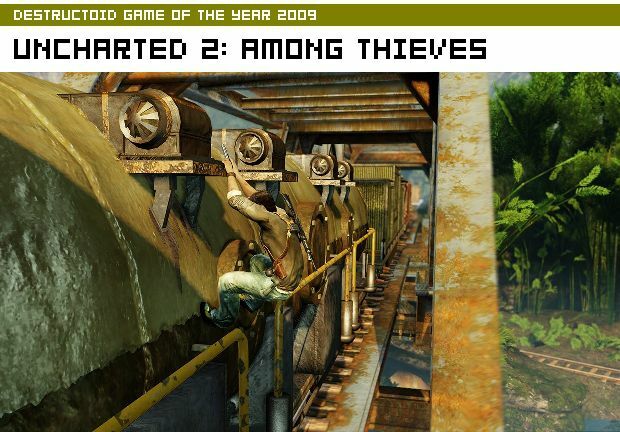 Are you happy with Uncharted 2: Among Thieves taking the title of Destructoid Game of the Year 2009? What are some of your favorite videogames of the year?